Federal law exempts up to $1 million in IRAs from judgments. 1. Are IRAs Exempt From Garnishment? 2. Are IRAs in Illinois Exempt From Creditors? 3. Can a Roth IRA Be Subject to a Judgment? 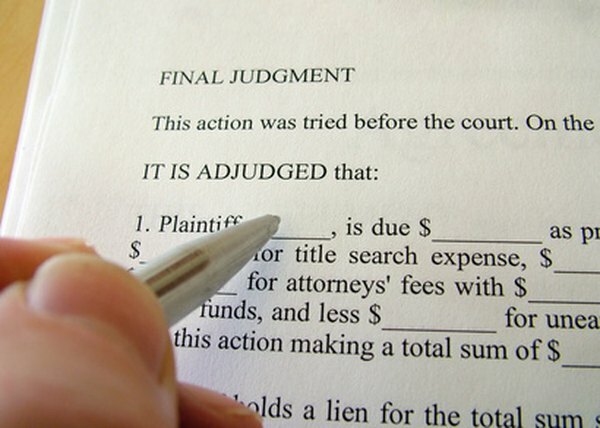 Judgments are legal claims against a debtor's assets. Creditors (the party to whom money is owed) have the legal right to attempt to satisfy a judgment from the debtor's assets, including individual retirement accounts. Federal and state laws govern whether a debtor's IRA is exempt from judgment. In many cases, the answer depends on the type of judgment the creditor seeks to satisfy. Federal law governs the use of an individual retirement account to repay a federal bankruptcy judgment. Since the enactment of the 2005 Bankruptcy Abuse Prevent and Consumer Protection Act, up to $1 million of an individual's IRA funds has been exempt from federal bankruptcy judgments. As a result, creditors in a debtor's federal bankruptcy proceedings can use IRA funds only to the extent that the debtor's IRA is worth more than $1 million. Some states completely exempt IRAs from judgments of any kind. Connecticut, Illinois, Iowa, Kansas and New Jersey do not permit creditors to satisfy judgments from IRAs. These states' laws offer blanket protection of retirement savings. IRA funds can lose their exemptions to certain types of judgments, depending on state law. In Louisiana and Colorado, IRA funds can be used to satisfy a judgment for unpaid child support. Wisconsin also permits use of IRA funds to satisfy child support arrears, as well as judgments in annulment, divorce or legal separation. State law often permits creditors to make claims to debtor IRA contributions that were made shortly before the debtor filed for bankruptcy protection. Alabama, Kentucky and Arizona permit any contributions made within 120 days before the bankruptcy petition to be attached to satisfy a judgment. California permits the same for any contributions up to one year before the bankruptcy petition was filed. Several states also exempt the amount of an IRA necessary to support the debtor and his dependents. Georgia, Nebraska and South Carolina offer such an exemption without regard to the total amount of the IRA. Minnesota imposes a monetary limit of $30,000; amounts exceeding this limit could be used to satisfy judgments against the debtor unless they were shown to be necessary to support the debtor, spouse and dependents. Is Roth IRA Safe From Collectors?